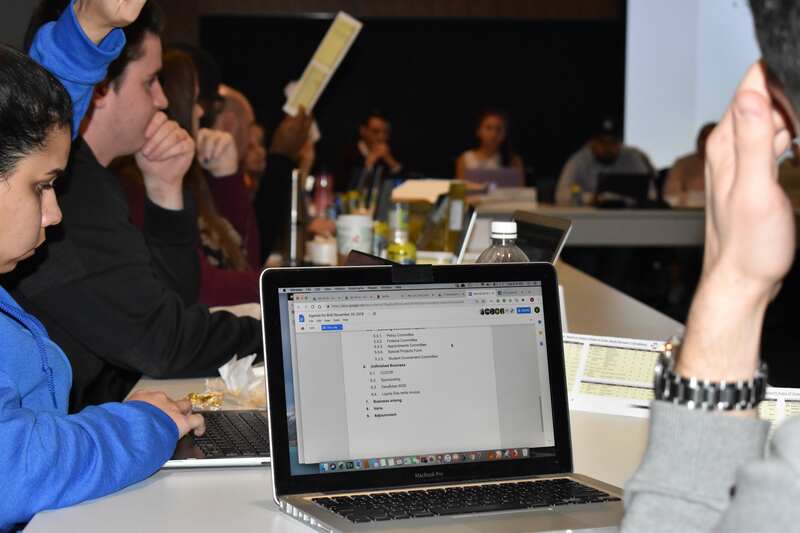 Clarifications about sponsorship contracts that the Commerce and Administration Students’ Association (CASA) has with companies were requested at a board of directors meeting last Tuesday. The association has 15 subsidiaries, including six associations and nine committees. CASA has also entered into sponsorship contracts that affect all its subsidiaries. However, the presidents of these associations were unclear about the conditions and limitations of these contracts. Claire-Madelaine Kelly, co-president of the John Molson Competition Committee (JMCC) association, started the discussion on the need for more transparency with regards to what these contracts mean for CASA’s subsidiaries. Kelly said potential sponsorships aren’t discussed openly between the board of directors, which includes CASA executives, and the presidents of the subsidiaries, because it is considered a win-lose situation. “I think it can be a win-win situation where you are sharing tactics, sharing where you are, sharing not necessarily sponsors that you have just signed but you are sharing general info” as to how they were signed, said Kelly. JMCC recently came into agreement with a company for a sponsorship, which infringes the contract CASA signed with Molson Brewery two years ago. The contract made all the subsidiaries exclusive to Molson. This agreement was the result of a misunderstanding of the limitations of that exclusivity between CASA and JMCC. However, the details of these constraints cannot be discussed publicly. Vice President External of CASA, Keira Baldwin, said that a blacklist of sponsors does exist. “That’s my error for not sharing it with you and making it more public,” said Baldwin. According to Baldwin, there was a lack of conversation regarding what subsidiaries can and cannot do when it comes to sponsorships. “We will make it more clear and I think [Kelly’s suggestion] is a great idea,” said Baldwin. Over an hour of the meeting was dedicated to questions about the restrictions and benefits of the sponsorships CASA has in place. Many members of the board of directors had misunderstood the matter. Baldwin said it was the result of miscommunication between the subsidiaries and CASA. “We are young professionals but we are still students that are learning as we do these mandates,” said Baldwin.